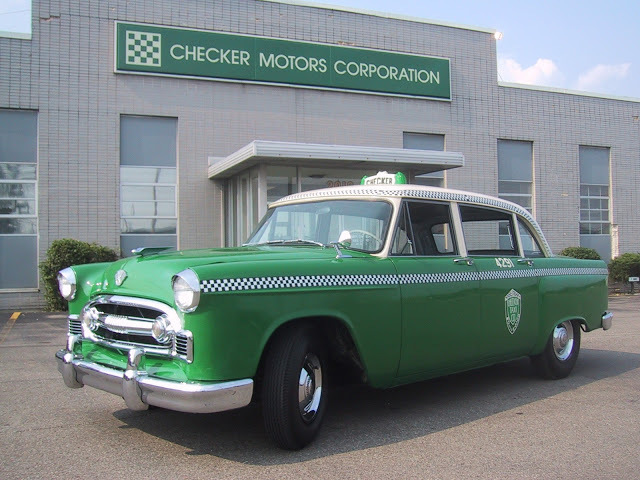 Two models were introduced for 1956, The Checker Model A8 Standard and the Models A8Drivermatic Special. 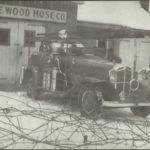 The special was the higher end vehicle equipped with power steering, a Borg Warner automatic transmission and power brakes. The standard was a bare bones taxi with manual brakes, steering and transmission. 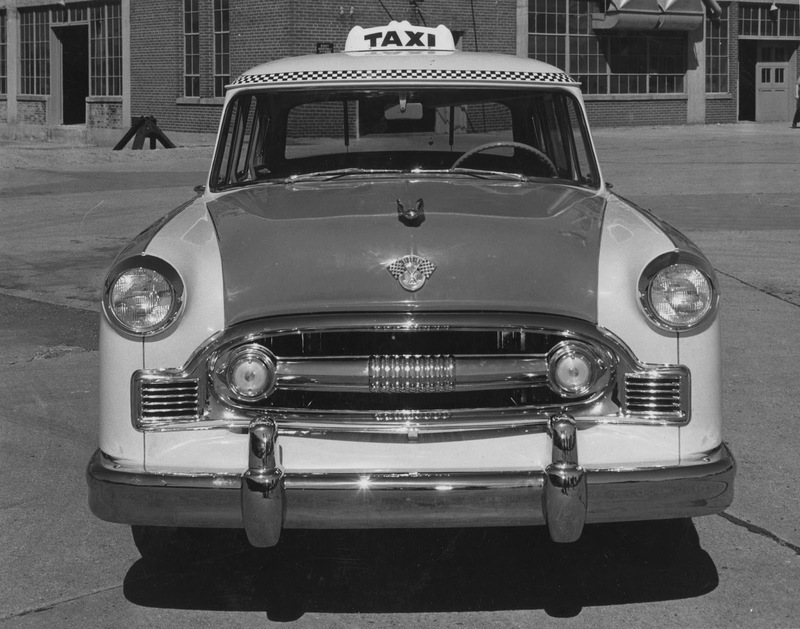 Both models were purpose built taxi with comparable interior trimming from the previous Model A6. Both vehicle could be equipped with an opening electric rear window. 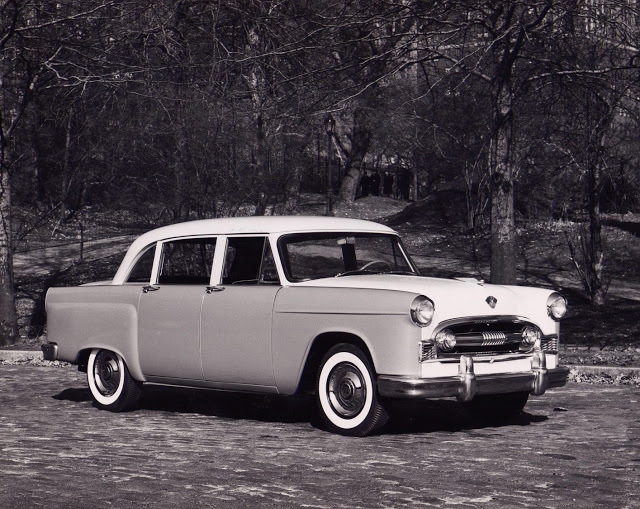 The body was totally new in 1956, the Checker now sported sleeker slab-sided styling consistent with most US automobiles designed in the early 50’s. US automotive styling of the late 50’s trend toward lower and wider designs, in order for Checker to comply with the New York ordinance and still fit eight passengers, Checker had to buck the trend and offer a taller design that allowed for chair like seating in a more upright manner. 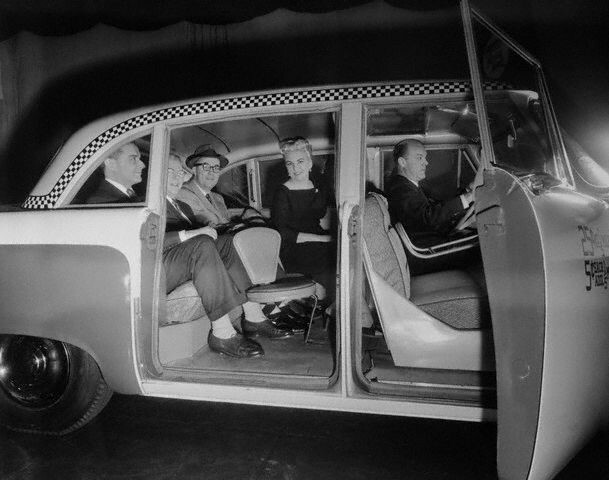 Equipped with rear jump seats the new Checker Model A8 could fit 8 passengers in the taxicab. 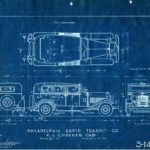 In the end this design would allow for a vehicle of 199.5 inches in length that rode on a 120 inch wheelbase. 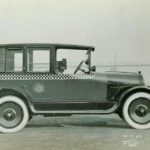 When compared to the other new entries: Ford, Chevy and Plymouth in the taxicab market, the new Checker Model A8 had better hip room, legroom and headroom for both passengers and driver. 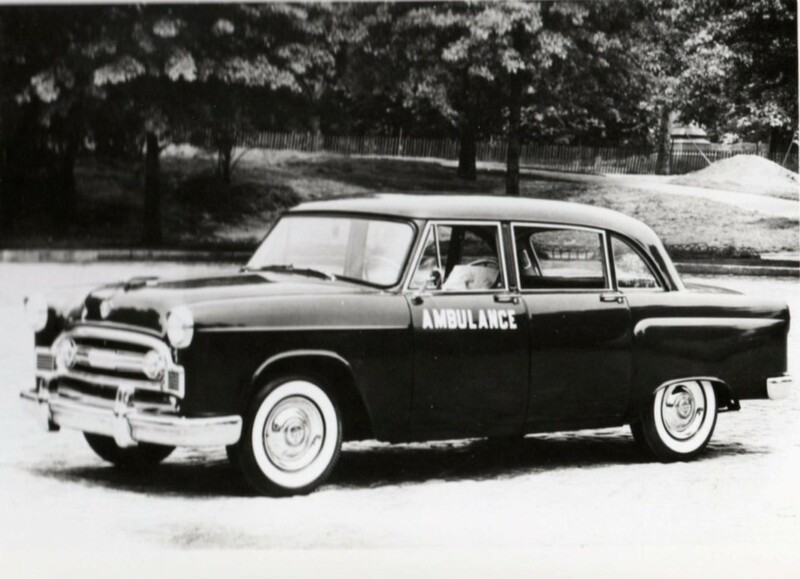 Again when compared to the competition the Checker Model A8 had a shorter turning radius, shorter front and rear overhang and superior “angle of departure”, all metrics that are critical to city driving. 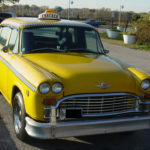 The purpose built design gave taxi buyer and opportunity to buy a far better cab that was far more competitive in the taxicab marketplace. So competitive, this ultimate taxicab design would be the benchmark in the taxicab industry for the next twenty-five years. The introduction of the Checker A8 in 1956 is where Checker makes a major shift in focus. Checker had dabbled in the specialty car markets for many years. Various pleasure cars were produced in the post war era: the A3, A5 and A7. 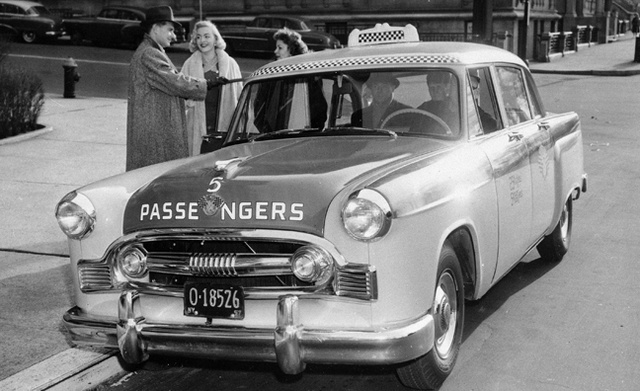 With the introduction of the A8, Checker would expand beyond the Taxicab market. With the launch of the Model A8 in 1956, Checker produced a brochure titled “Presenting the all new Checker automobile”. 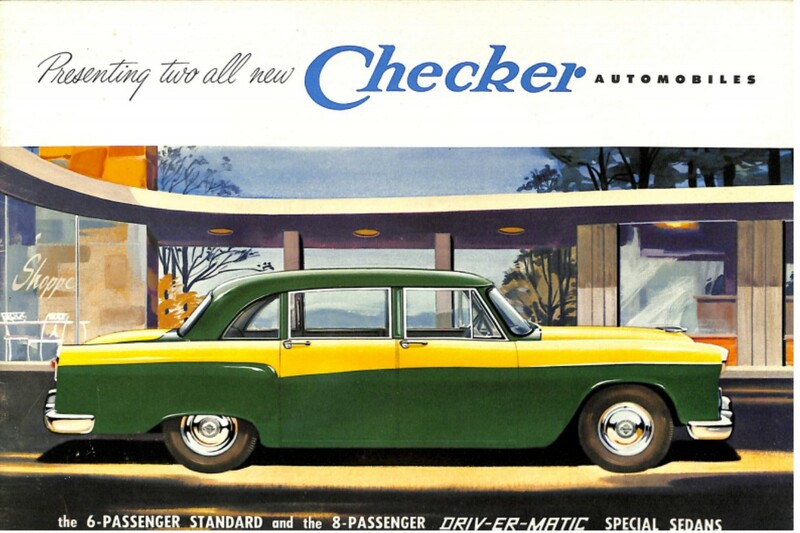 The brochure’s cover depicts an artist rendition of a Checker sedan parked in front of a shopping center. 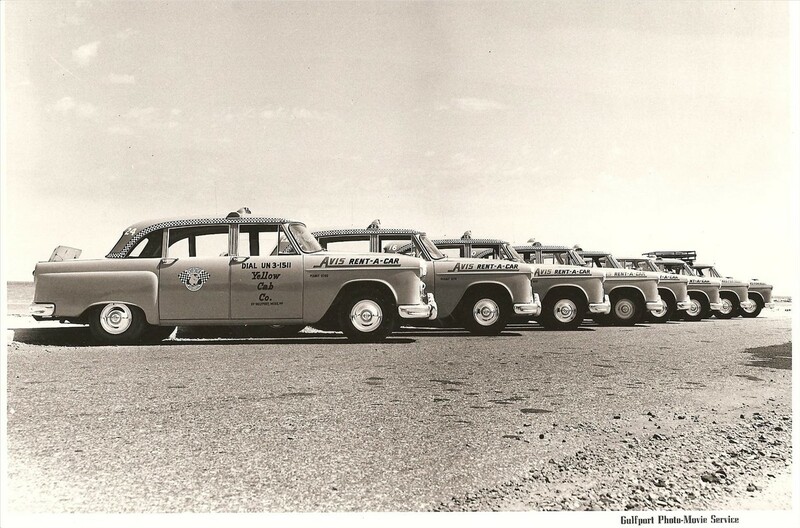 The contents of the brochure describe both the Checker Model A8 Standard and the Model A8 Driv-er-matic Special. 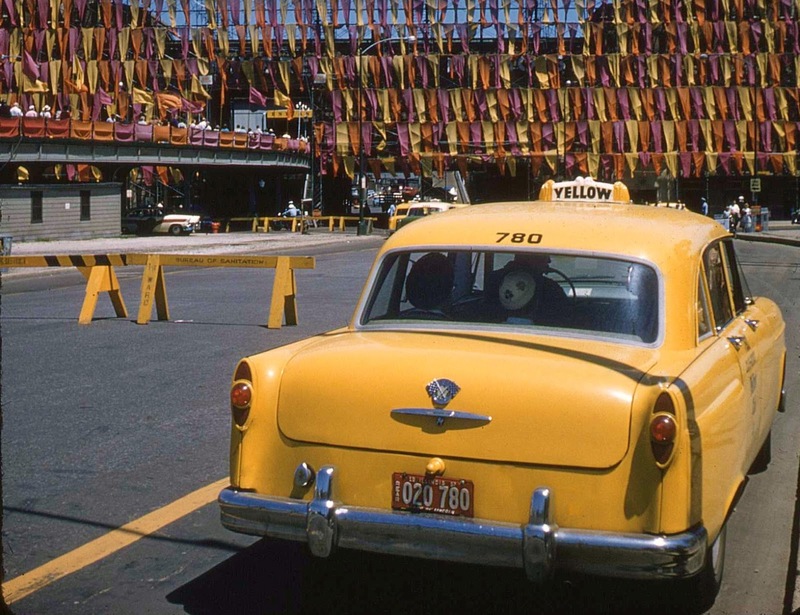 The word “taxi” cannot be found anywhere in this brochure. This brochure is clearly designed to sell the Checker as a passenger car to the general public. 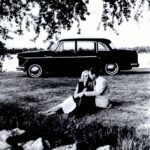 There is one significant difference between the earlier post war brochures for the A3 where the Checker is offered as a luxury car alternative in 1947, for 1956 it’s just the opposite. The A8 is marketed as an economical and practical car, no hint at luxury. Note tires were an option! Consumer Reports describes the purchasing process as follows: “The car is not at present, sold to buyers though retail outlets but through zone sales organizations located at strategic points about the country. 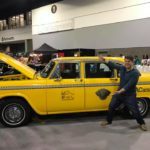 The buyer who wants a Checker must contact one of these zone organizations, whereupon arrangements will be made for a car to be demonstrated and an order form will be produced, if requested”. Another major test article was published in the late fifties. This time it was in the April 1958 issue of Motor Trend Magazine. 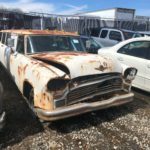 A three page test drive of both the Model A8 Standard and Special, this article discusses the current Checker lineup and hints at the new Checker that will be available in the very near future. It contradicts the Consumer Reports article in that it says the vehicles can only be purchased at the Kalamazoo factory. The Motor Trend article is also interesting in that writer William Carroll reports on his twenty minute interview with Morris Markin. 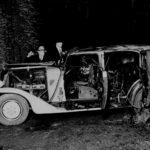 Mr. Carroll acknowledged that he uncovered little information of the new car that could be reported, but that a smiling Mr. Markin was quoted as saying “Wait till you see it, then you’ll be surprised”. 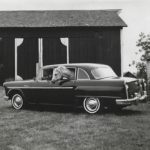 Mr. Carroll was able to interview key back office personnel and ultimately determined that the new Checker for consumer sales was little more than a modified version of the current A8. 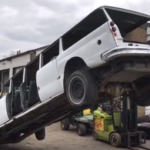 Biggest changes were suggested to be the fenders. Love to own a single headlight model. I’ve been looking into the differences between the A8 and the later Marathon model, is the roof-line different? Sure would be neat to make a later marathon into an A8 look alike.